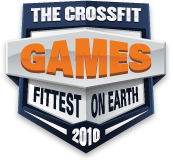 Shortly afterward, the 2009 champion stopped by to train at CrossFit Santa Cruz with Hollis Molloy. In between power cleans, Salo talks a little about his vices (he has none), his dog, his CrossFit certifications, and his thoughts while he struggled with the rope climb in the final event at the Home Depot Center. 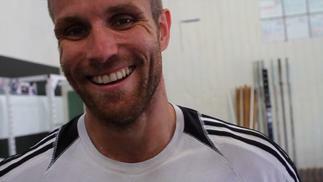 Finally, Salo the athlete talks about being a coach and teaching other people about CrossFit.